Organizational maturity rating (OMR) provides a single measure of how well a company performs as a complete value system. A significant element in that whole picture is a collection of detailed, operational metrics. In banking, for example, a key metric of operational performance is cost/income ratio. The average cost/income ratio of the 20 banks in our report is 65%: that means 65 cents of out of every $ earned is just covering basic costs. Conventional financial analysts will have this metric on their list of standard benchmarks but they do not possess the capability to gauge the extent to which this metric might improve over time. A causative influence on effective cost control cultures is the bank’s maturity level and both will improve together as part of a strategic plan. The necessary insight comes with maturity analysis and an OMR rating. 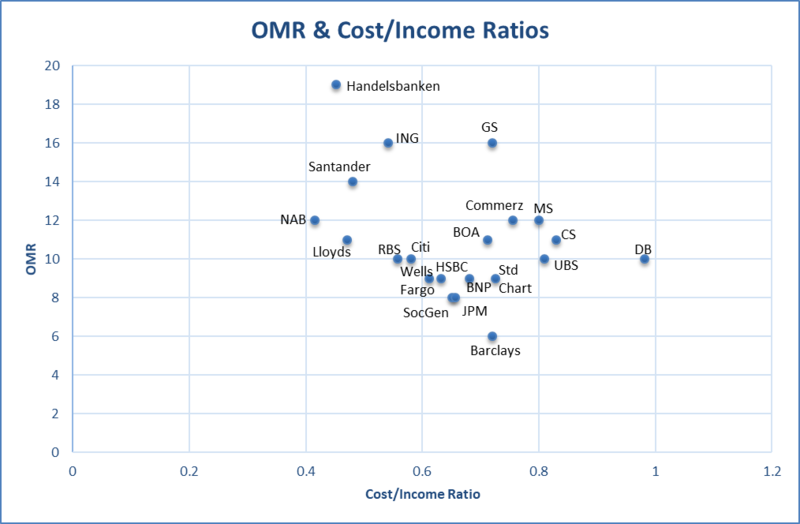 The chart below plots the cost/income ratios of all the banks in our Report against their respective OMR scores. So what inferences can be drawn from such a chart? In the case of Handelsbanken there is a clear connection between its long-term strategy (relationship based) and its cost-conscious culture. This helps to explain why it scores well on both axes. Banks like Santander and ING are both cost conscious and beginning to show signs of growing maturity which augurs well. One surprising finding though is that the three biggest banks by market cap (JP Morgan, Wells Fargo, Bank of America) are not the most cost-efficient (10th, 8th and 13th respectively) in the cost/income comparison table. There are many reasons for this but it does beg the question of where the economies of scale have gone and do their combined workforces (totalling 711,000 employees) think about cost reduction every single day? Mature companies tend to be obsessed with value but even they can have lapses. 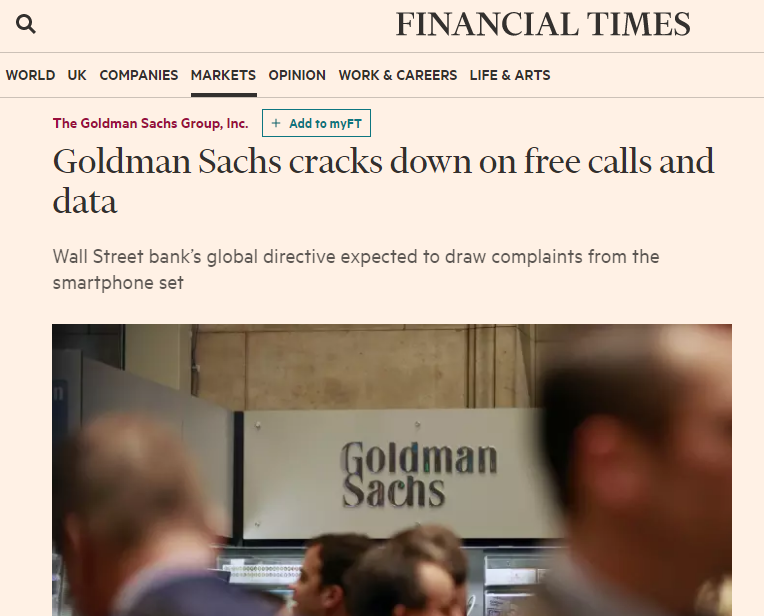 Goldman Sachs (15th on cost/income) grabbed the headlines recently with its attempts to reduce phone costs; at a time when their OMR fell from AA- to A-. Maybe they have bigger priorities in working on their culture rather than a specific, and relatively minor, item? Reminds me of the day, many years ago, when our CFO stuck notes on everyone’s phone exhorting us to ‘ring after 1200 – it’s cheaper’. Our overall conclusion is that there is significant room for improvement in developing and embedding a cost control culture in banks (i.e. all cost reductions increase value) rather than a narrow (and potentially value sapping) cost/income focus. Every 1% improvement in operating income, for this group of 20 banks , while holding costs constant, would be worth a $2 billion net margin improvement. Our analysis identifies this as a clear and easily available competitive differential that any CEO would be foolish to miss.